Nations can vary greatly in their wealth, democratic rights and the wellbeing of their citizens. These gaps are often obvious, and by studying the flow of immigration one can easily predict people's wants and needs. But why are there also large differences in the level of education indicating disparities in cognitive ability? How are they related to a country's economic, political and cultural development? Researchers in the paradigms of economics, psychology, sociology, evolution and cultural studies have tried to find answers for these hotly debated issues. In this book, Heiner Rindermann establishes a new model: the emergence of a burgher-civic world, supported by long-term background factors, furthered education and thinking. The burgher-civic world initiated a reciprocal development changing society and culture, resulting in past and present cognitive capital and wealth differences. 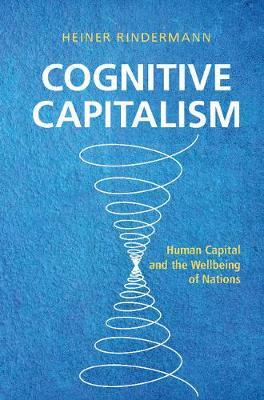 This is an important text for graduate students and researchers in a wide range of fields, including economics, psychology, sociology and political science, and those working on economic growth, human capital formation and cognitive development.